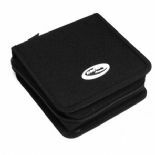 Belkin Universal Tablet Tri-Fold for Tablet up to 10"
Belkin Universal Tablet Tri-Fold for Tablet up to 8"
A nice and easy to carry CD case. Will hold 200 CDs (without their jewel cases) and keep them safe. Ideal for use in the car, and to take out with your discman. Strong, well made and durable with a rugged zip fastening. 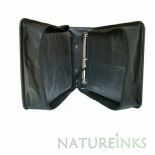 A nice and easy to carry CD case. Will hold 24 CDs (without their jewel cases) and keep them safe. Ideal for use in the car, and to take out with your discman. Strong, well made and durable with a rugged zip fastening. A nice and easy to carry CD case. Will hold 300 CDs (without their jewel cases) and keep them safe. Ideal for use in the car, and to take out with your discman. Strong, well made and durable with a rugged zip fastening. A nice and easy to carry CD case. Will hold 500 CDs (without their jewel cases) and keep them safe. Ideal for use in the car, and to take out with your discman. Strong, well made and durable with a rugged zip fastening. 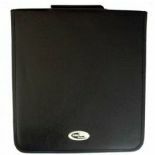 A nice and easy to carry CD case. Will hold 120 CDs (without their jewel cases) and keep them safe. Ideal for use in the car, and to take out with your discman. Strong, well made and durable with a rugged zip fastening. A nice and easy to carry CD case. Will hold 240 CDs (without their jewel cases) and keep them safe. Ideal for use in the car, and to take out with your discman. Strong, well made and durable with a rugged zip fastening. 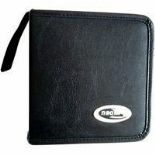 A nice and easy to carry CD case. Will hold 400 CDs (without their jewel cases) and keep them safe. Ideal for use in the car, and to take out with your discman. Strong, well made and durable with a rugged zip fastening. A nice and easy to carry CD case. Will hold 48 CDs (without their jewel cases) and keep them safe. Ideal for use in the car, and to take out with your discman. Strong, well made and durable with a rugged zip fastening.